The One Year War is finally over. Peace reigns… for now. White Base hurtles towards destruction as it attacks multiple Zeon space fortresses. Meanwhile, Michael realizes the happy ending is, retroactively, a fairly bleak one, Peter reveals his MAHQ chatroom username, and both hosts wish Lalah wasn’t cut out of the show as much. Also included: Texan mobile suits, a Ferris Bueller fanfiction that writes itself, Zakrello hate. White Base kicks things into overdrive, managing to carve through three arcs in one go! 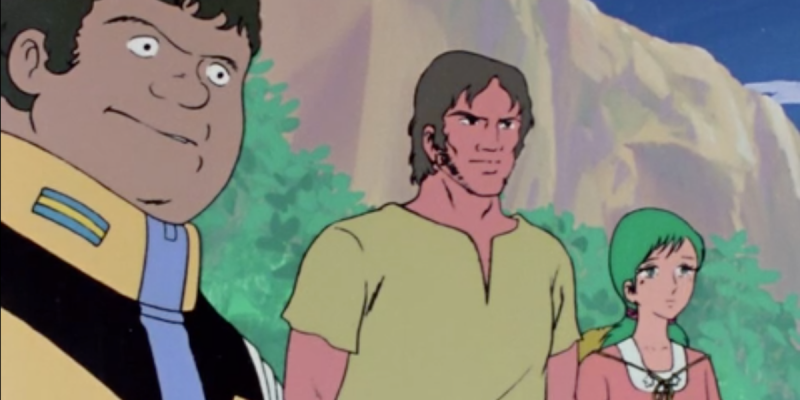 Char Aznable returns, and the Black Tri-Stars get their fifteen minutes of fame. 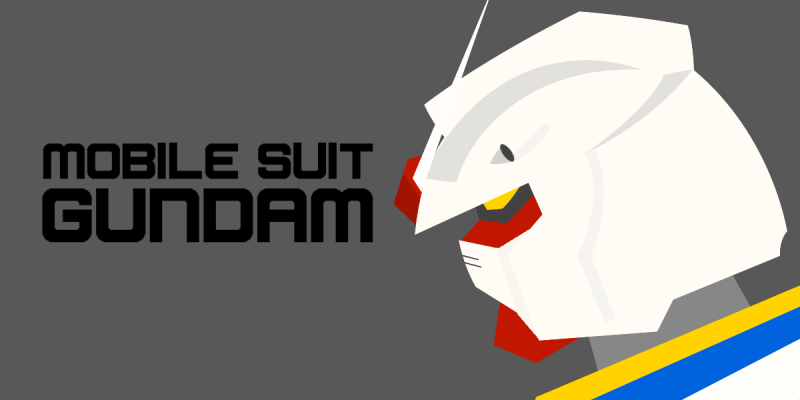 Meanwhile, Michael isn’t sold on the G-Armor designs, Peter reveals his favorite aquatic Zeon mobile suit, and both hosts put the Zock design on blast. It’s the start of Tomino Month, with the introduction of the Gouf mobile suit, and a sympathetic adversary. White Base continues its trek towards the main Federation force, encountering a commando unit lead by the best Gundam character. 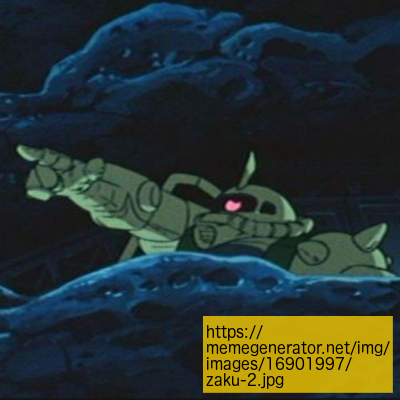 Meanwhile, Peter appreciates the absence of Char, Michael talks about a memory of Gundam Wing: Endless Waltz, and both hosts speculate about what M’Quve’s mines could be hiding. 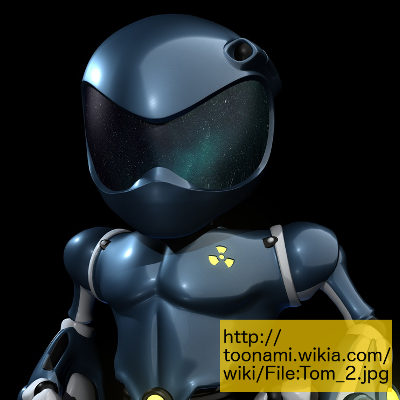 Only Gundam can save us! White Base, a ship full of orphans and refugees, begins its journey to Federation headquarters at Jaburo, fighting off vicious attacks by the Zeon forces. 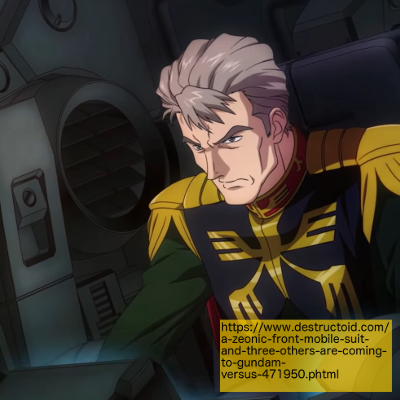 Meanwhile, Michael admits his bias in favor of Gundam, Peter questions how landmarks like the Grand Canyon ended up with slightly different names, and both hosts reveal that they have partly-assembled Gundam model kits on their desks. Michael and Peter take some time to reminisce about video games based on Toonami franchises, and pitch a fighting game. Next week: Beast Wars Part 2, concluding the first season. Michael and Peter discuss a few upcoming shows that they’re excited to cover for various reasons, and talk about TOM 2. In this week’s minisode, Michael and Peter discuss the anxiety of showing someone a piece of media you really like, as well as the difficulty of actually recommending shows like Tenchi in Tokyo in real life. 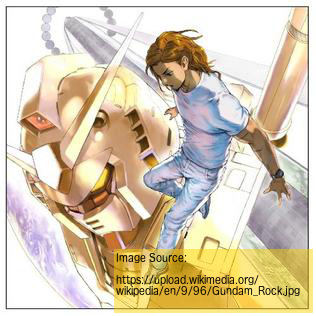 Apparently Andrew WK made an album of Gundam music for the franchise’s 30th anniversary. This spurs some Andrew WK related memories, and a discussion of our recent media diets.